We had a wonderful first night of revival and awesome message; Our guest speaker blessed the house through her inspiring message to our youth concerning the importance of preparation that can really begin even before you are saved. In order to live for God and commit to Him, there is a process to follow which includes SEPARATION, SANTIFICATION, PURIFICATION and JUSTIFICATION. She made plain the need to be filled with the Holy Spirit who will lead and guide you along the way. Lord I'm "Available" to You, so "Speak to My Heart is just what our Guest Evangelist did during the second night of revival. She allowed the Lord to use her and speak directly into the lives of many of our youth. Surely this Gospel Message sank deep into their lives as she prayed up front and on a personal level with each of them. So special are our youth who are not just future leaders but the influence of their calling shall be in the "here and now" present day. 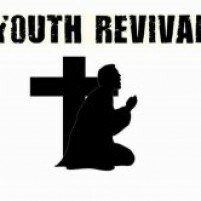 During the final night, our revivalist posed the question to the youth "Will you be ready". For it is now time to make a conscious decision and chose where you will spend eternity fulfilling the whole duty of man according to Ecclesiastes 12:13 "Let us hear the conclusion of the whole matter: Fear God, and keep his commandments: for this is the whole duty of man."